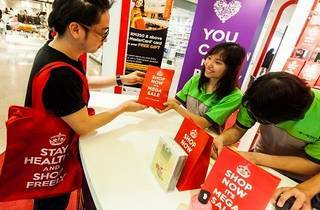 It's time to bring out the cash and cards because the Mid Valley Mega Sale Carnival is here again, but with a little twist. 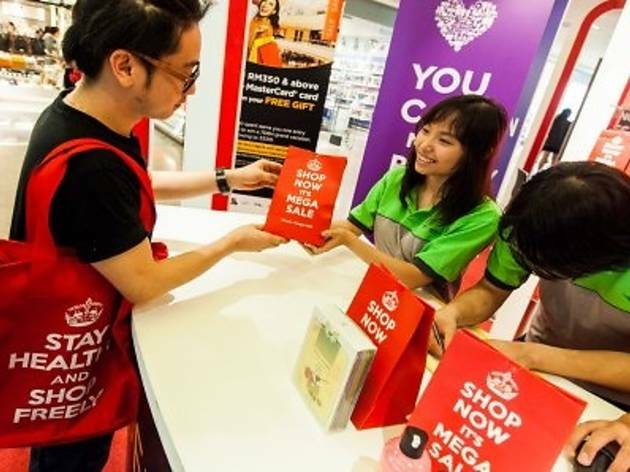 From June 29 to August 11, this carnival brings you a new way to stay healthy and fit by encouraging shoppers to shop from one end to another in one of KL's biggest malls. In joint partnership with HSBC Bank Malaysia and MasterCard, there will be a series of on-ground activities and rewards lined up for all. Just spend a minimum of RM450 (or RM350 for HSBC cardholders) in a single receipt at any specialty store and you can get an exclusively designed shopping tote bag. For MasterCard users, charge a minimum of RM350 in a single receipt and you will stand a chance to redeem a premium gift by Elianto.